Maria blew into Newfoundland as a hurricane Friday and left as a post-tropical cyclone, stirring up waves and trees but underwhelming residents who braced for a tumultuous day. People in Labrador and along Newfoundland's northern coast are expecting strong winds Saturday as the remnants of Maria blow past, a day after the storm made an underwhelming appearance in the province as a Category 1 hurricane. 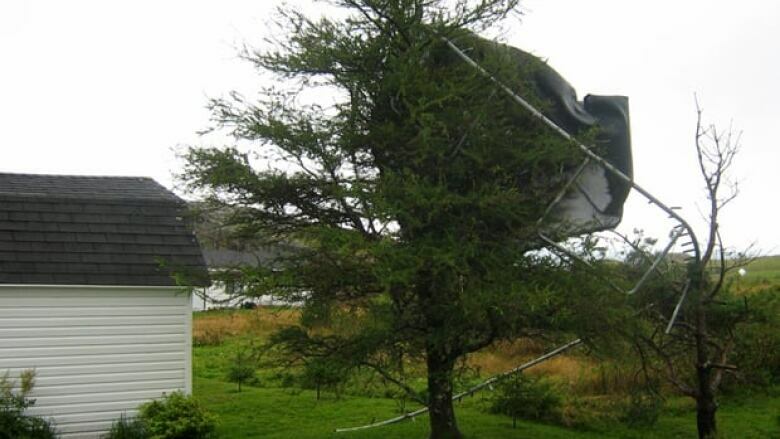 Maria was packing winds of 120 km/h when it made landfall in St. Mary's Bay on the Avalon Peninsula on Friday afternoon. Within three hours, however, meteorologists had downgraded Maria, even though its tail was packing a bit of wallop in coastal areas. Memories of devastating Hurricane Igor, which hit the province a year ago, had put many on edge as Maria approached. But as CBC News reporter Zach Goudie said Saturday morning, Maria was the kind of hurricane people could almost like. After the storm blew through, he said, "there was this collective shrug of ‘Huh?’ What was that about?" Maria mostly affected an area stretching from Placentia Bay to Cape Race, at the southeastern edge of the Avalon. The storm veered just shy of St. John's but stilled whipped the region with driving rain and howling gales. No one was injured. Environment Canada and the Canadian Hurricane Centre were predicting strong wave activities across Newfoundland and Labrador on Saturday, with areas of western Newfoundland, the Gulf of St. Lawrence, the Labrador coast and the Strait of Belle Isle expected to see waves reaching four to nine metres. Similar conditions were anticipated along the northeast coast. Fire and Emergency Services in Newfoundland and Labrador advised people to be cautious around waterways and coastlines during the next few days. A release from the government organization said "conditions may be severely hazardous," and urged residents to be mindful of the conditions throughout the weekend and avoid coastal areas. Maria was just a shadow of Hurricane Igor, which blew apart bridges and roads in September 2010. CBC meteorologist Ryan Snoddon said Maria was smaller than Igor, and was also a fast-moving system. That speed, he said, lessens the potential for the kind of damage seen during Igor. Snoddon said the downgrade did not mean its potential was dramatically different. "That doesn't really change its intensity all that much. It just changes how it's structured," Snoddon said. 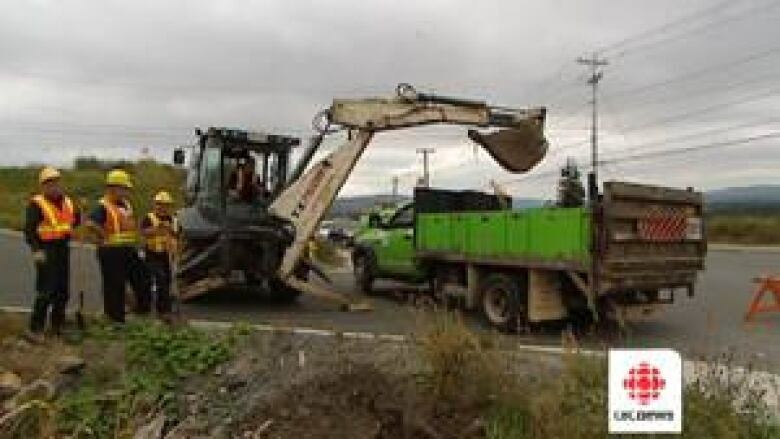 After occasionally intense rains, the eye of the hurricane brought calm weather — even sunshine — to parts of the Avalon Peninsula on Friday afternoon. However, Snoddon pointed out that the tail of the hurricane could be troublesome. "The winds are much stronger behind the storm than ahead of the storm," he said. Maria had prompted school closures and airport cancellations hours before it touched land. Memorial University shut down classes in the St. John's area, and police urged motorists to take care on regional highways. But the storm proved to be far less intense than many had feared, particularly those who watched Igor's destruction just one year ago. "Lamest hurricane ever?" said one tweet early Friday evening. Environment Canada said toppled trees, widespread power outages and some damage to buildings were possible. A hurricane warning had been in effect for the southern Avalon Peninsula and a tropical storm warning is in effect for the northern Avalon, Burin and Bonavista peninsulas. Schools in the southern Avalon area began closing before 7 a.m.
Windy conditions were expected across Atlantic Canada Friday and Saturday as forecasters said Maria was expected to merge with a storm front in Labrador. Hurricane Igor is the most powerful storm on record to strike Newfoundland. It made landfall Sept 21, 2010, near Cape Race with winds of 140 km/h while still at hurricane force. More than 200 mm of rain fell, washing out roads, and taking out hydroelectric power and knocking over numerous trees. The Canadian military was called in to help rebuild bridges and infrastructure.